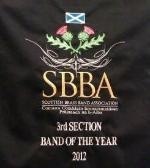 The JIB has just been announced the Scottish Brass Band Association's 3rd Section band of the year for 2012. The annual award is given to the band who have been the most consistant over the contesting year and with the JIB winning the Scottish Championships and claiming a fantastic 5th place at the National Championships of Great Britain, these results help us on our way to taking the top spot from runners up Selkirk Silver..
"This award is a recognition of the dedication throughout the year of the band members and the diligent approach adopted by the band's conductors working with professional musical director Phil Rosier." The Band will now be promoted back to the 2nd Section from Jan 1st 2013 and will soon be in preparations for the forth coming Scottish Championships in March. 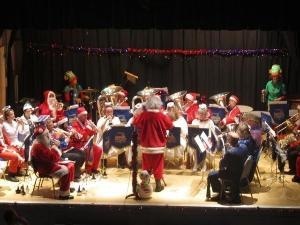 The JIB's annual Christmas Concert will this year be held on Sat 22nd Dec at 7.30pm in the Jedburgh Town Hall. As always the Band will be supported by the Abbey Brass. Conducted by MD Phil Rosier the concert will be full of christmas cheer and the spirit will be provided by our fully licenced bar complete will table service. Tickets are priced at £5/£4 and are available from 'From me to you' on the high street, Band members or click Contact to book online. Come along for a foot stamping Christmas cheese fest. The JIB and Abbey Brass will be out in force over the festive period doing some much needed fundraising. 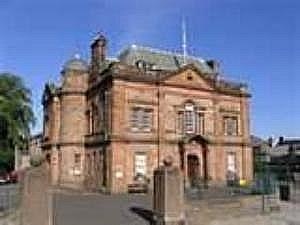 You can find us in the Jedburgh Co-op on Sat 15th Dec where we will be playing Christmas Carols and packing bags. We will also be in the Foyer of Sainsburys in Kelso on Sun 23rd as well as being out and about in Jedburgh over the coming few weeks. Listen Out and give us a shout. On Sat 3rd of Nov the JIB traveled the short distance to Selkirk to take part in this years Borders Entertainment Contest. The band had entered this contest in great spirits having been unbeaten in Scotland in the 3rd Section for over a year and by playing their own choice of entertaining music the band felt they could put in another big performance. Unfortunately, this year the band could not make it a hat trick of titles and were piped to the post by a fine performance by host band Selkirk Silver finishing 2nd in the 3rd Section and 9th overall. For this years challenge the band opened their programme with a fabulous arrangement by L Baker of Lional Riches classic hit 'All Night Long' following that up with the fantastic Soprano Cornet solo 'Flowerdale' played by the bands Sop player David Lightbody. The very descriptive 'Bees a Buzzin' by Edrich Seibert went down well with the audience and the band finished their program by playing the classic queen track 'innuendo' arr by Meechan. Although the judges enjoyed the performance they felt it was perhaps a little untidy and that a few tuning issues spoiled the overall picture. The 12th annual Borders Entertainment Contest will make its third visit to Selkirk on Saturday 3rd November, when the JIB will be amongst a record 22 competitors that will battle it out for the Scottish Borders Trophy. The Scottish Borders Brass Band Association (SBBBA) is organising the exciting event, which will be held in the town’s Victoria Hall, with the first band taking to the stage at 9.15am and with the final performance around 6.50pm. As well as the JIB, other local Border bands such as Hawick, Langholm, Peebles, Selkirk and St. Ronan’s will battle against rivals from both sides of Hadrian’s Wall, and from across the short stretch of Irish Sea, with each competitor giving a 15 minute concert programme to try and tickle the fancy of judges, Paul Drury and Gordon Evans. Association Chairman Alan Fernie added: "We are delighted with the fantastic entry of 22 bands from all over Scotland, the North East of England and even the Isle of Man. The contest promises to be a great day's entertainment in a first class hall and will bring many visitors to the region." The contest is confined to Second, Third and Fourth Section bands with a host of ensemble and individual prizes up for grabs. All this and it only costs £3.50 (£2.50 concessions) to go along and enjoy a full day of brass band entertainment. 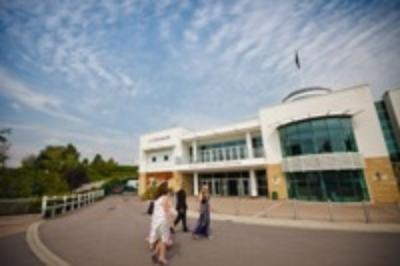 The JIB took a fantastic 5th place at the National Brass Band Championships of Great Britain held over the weekend of 22-23 September in the Centaur hall in Cheltenham Racecourse. 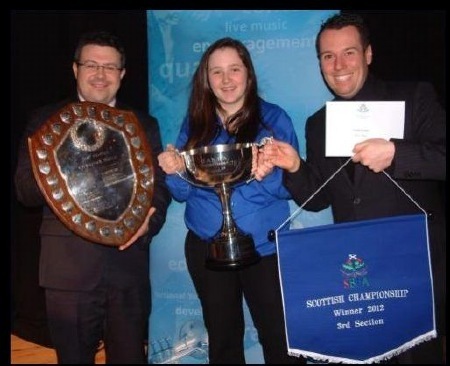 A Superb result for the band (the highest placing of any Scottish Band at this Years Championships.) and certainly the best result in the bands 158 years. To top it all, our star flugel player, Stuart Black, walked away with the best Instrumentalist award for a stunning performance of Richard Huw Coles ''Three Ancient Customs'. Playing off of the tricky and infamous No1 draw, JIB opened the days contesting by playing the National Anthem and then got down to business and set the early pace for the others to beat and by the end of the day only 4 of the 18 bands competing managed to do that. JIBs MD Phil Rosier commented, "It was a challenge to prepare the piece because it needed a lot of careful thought and application to be authentic to its various styles. The band however rose again to the challenge and performed with conviction and finesse especially with such an early draw". The competition was won by the Hitchin band from the London and Southern Counties conducted by, Craig Patterson. Although a few players in the band felt we could have played better there were a couple of pundits in the hall that though we may just sneak a higher place. A Massive thanks goes to Nicola Douglas, Maddie Pullan, Alan Fernie, Jacqueline Elliot and of course MD Phil Rosier. The Band will be traveling down to Cheltenham on Sat 22nd September and will be on stage on Sunday 23rd. Playing a new piece called ‘Three Ancient Customs’ by R Huw Cole, the talented composer and conductor who has worked in and around Wales and the West of England over the past decade will provide a colourfull test in the Third Section. The work celebrates the traditions and customs of the hinterland of the Welsh borders including ‘Cwrw Bach’ (‘Small Beer’) ‘Mari Lwyd’ and ‘Wassail’. 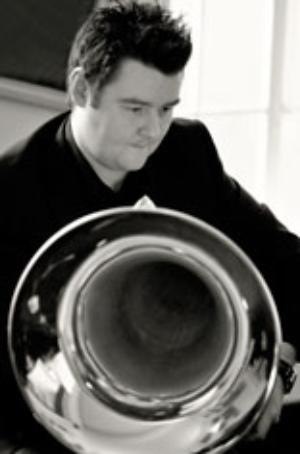 The two Welsh elements of the work were featured for his suite, ‘Two Ancient Welsh Customs’ which was performed at the John Golland Composition Awards at the RNCM Festival of Brass in 2011. Les was brought in to not only inspire the bands senior players with his virtuoso playing but to more importantly help inspire the youngsters in the JIB organisation and show them what they could achieve should they decide to stick at being part of a Brass Band. The weekend began with a rehearsal with Les and the senior band on the where Les wowed the band with his musicianship and technique in the 4 pieces he would play with the band in the concert the next night. 7.30pm came round and the band took to the stage in front of just over 200 people with MD Phil Rosier opening with the Fanfare from Rocky as their opening number to which the recent trophies that have been one (from the Borders Entertainment and the Scottish championships) were paraded in. The rest of the first half was filled with such classics as Ejala, the March from the pines of Rome and a reprise of the bands winning performance of Philip Harpers 3rd Section test piece Olympus. Les also took to the stage and wowed the audience with Monti’s classic Czardas and Paul Lovvatt – Coopers beautiful composition Songs for the Skies. Next Up was the bands beginner group and their MD Stuart Black containing kids that have been playing anywhere from 3 months to a year. A group set up to bring in new kids and encourage them at the start of their journey through the Jedforest Instrumental ranks. Their program consisted of such entertaining repertoire as Batman and Cheesy Feet Rock. In a small change to the program, Les then returned to the stage to conduct a massed band performance of all the youngsters under the JIB wing in an official performance of African Funk, to highlight the great work the kids and Les had done that morning in the workshop. The bands Youth band (Abbey Brass) then took to the stage to showcase the great work that they have been doing under their MD Rob Hume. Featuring different styles of music arranged for the band by their MD ranging from Mozart to Coldplay. Truly highlighting that the youth scene in Jedburgh is thriving. The audience were left shouting for more to which the band replied with an entertaining rendition of Ray Farr’s “Riverdance” featuring some great playing from the hole band as well as some dodgy Irish dancing from their Principal Cornet and Flugel players, bringing the hugely successful and entertaining evening to a close and sending the audience home buzzing about the nights entertainment. That then rounded of an extremely entertaining, fun and inspiring weekend for everyone involved at Jedforest Instrumental band. Thanks to Les and Besson, everyone from youngsters to Adults seem to come away from the weekend having learned something and hopefully have been inspired to continue the bands progression and legacy for many years to come. 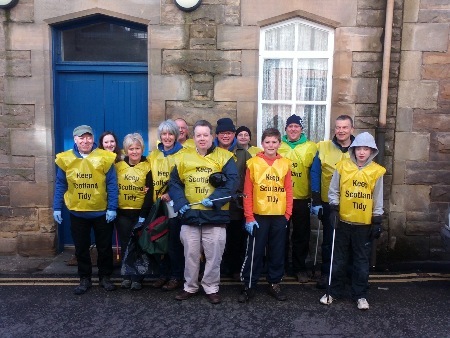 On Sat 28th of April the JIB held a fund raising Clean up around the town of Jedburgh. 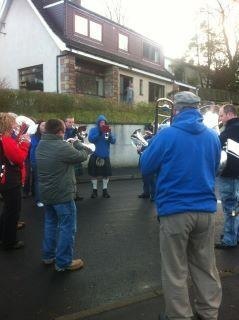 The members of JIB were all sponsored by towns folk and at 9 am they took to the streets of Jed. Splitting in to small teams the Band covered the center of town and 3hrs later, had collected over 17 full bags of litter from the streets and riverside. The total hasn't been finalised yet but an early estimate is said to be around the 4-5 hundred pounds mark which will go a long way in helping the band raise the funds to represent Scotland at the National Finals in Cheltenham later this year. A HUGE thanks to all the workers and sponsors who took part in the mornings clean up. On Sat 26th of May, the JIB will hold their Spring concert in the Jedburgh Town Hall and will feature a very special guest. Besson Tuba artist Les Neish will feature as the bands guest soloist for the evening performing 3 Solos and a duet with our very own Solo Euphonium Scott Renwick. As well as being a Besson artist,member of the famous Brass Band Battle Creek and world renowned ambassador for the Tuba, he is also one of the most sought after tutors and workshop leaders around. Whilst here he will be spending some time with all of the younger players in the bands set up on the Saturday morning,leading them through a morning of fun and learning culminating in a special performance which may make it's way to the concert later that evening. As well as all this round the weekend off,some of the adult members of JIB will get to spend some time with Les in a master class on the Sunday morning where they can pick the Brains of a man who as achieved so much in his career already. As well as Les, the newly crowned Scottish 3rd Section Champions will play something for all and will be supported as always by Abbey Brass and the Band Buddies. Doors Open at 7pm for a 7.30pm start. A fully Licenced Bar and Table Service will be provided so COME ALONG for a great night out! On sat 10th March the JIB lifted the 3rd section Scottish Championship title with a dazzling performance of Philip Harpers 'OLYMPUS', a piece which was written to celebrate the 2012 London Olympic games and depicts scenes of chariot races and the temples of the greek gods. Playing no.4 of 12 bands the JIBs performance stood out from the rest of the field and set the marker that the other bands couldn't quite match on the day resulting in a clear 2 point margin over runners up Perthshire Brass. The Adjudicators John Doyle and David Thornton were not even born when Jedforest last won a Scottish title, but had no doubt that this one was well deserved. John told 4barsrest.com: "The winners were very good indeed. They made a fine, well balanced band sound, did all the basics very well and made our decision an easy one." MD Phil Rosier commented " The strong performance at the Scottish Nationals was due to the extensive hard work done in the preparation by individuals and everyone else involved. The band performed the piece in the spirit it was intended to be played and it was a delight to hear." 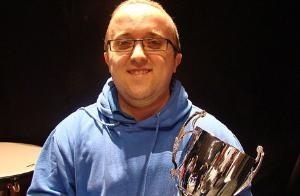 This is the first national title the band has won since 1968 and also means promotion back the 2nd section and an invitation to represent Scotland at the National Championships of Great Britain held at the Cheltenham Race course in September. An emotional band secretary Nicola Currie added "We are delighted with the result it is a great reward for all the team effort and individual practice thats been put in since Christmas. 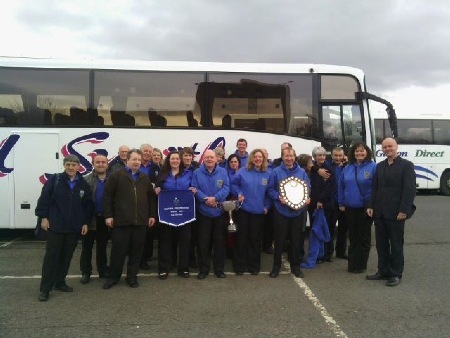 A lot of credit must go to our MD Phil Rosier who guided the band on their journey to becoming Scottish Champions." The JIB recently embarked on a band training weekend in preparation for the forth coming Scottish Championships to be held in Glen Rothes Halls on sat 10th March. 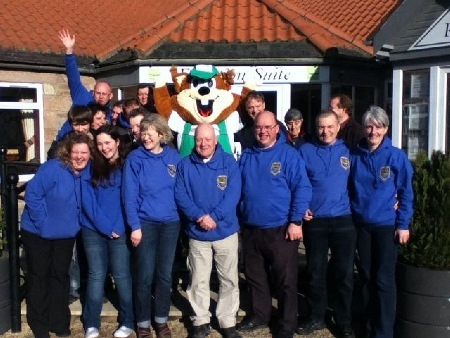 This year, instead of the usual day long sectional and full band rehearsals in the band hall, the band upped sticks and headed across the border to the Northumberland town of Wooler where a full weekend of sectionals and full band rehearsals took place. The location for this was in the function suite of the Hoseasons Wooler: Riverside Country Caravan Park, where the band was well looked after by the staff and residents. The whole weekend got underway on the Friday evening with a full band rehearsal and then followed up at 9 am with sectionals and full band rehearsals right through to 6pm. The Band then finished off the weekend with a final 2hr full band rehearsal on the Sunday morning. The Band would like the give a huge thanks to MD Phil Rosier who worked us hard for the whole weekend and of course to the wonderful staff at the Riverside Country Park, who also provided the accommodation for the band, and looked after our every needs. THANK YOU. The JIB is now preparing for the forth coming Scottish Brass Band Championships, which this year will be held on Sat 10th March in the Rothes Halls in Glen Rothes, Fife. Currently competing in the 3rd Section the Band will be playing the test piece 'Olympus' by the composer and arranger Philip Harper. Under the leadership of MD Phil Rosier the band is looking to get back up to the 2nd Section which would also bring a trip to Cheltenham and the British National Finals in September. Starting at 9am the Band parades round the streets only stopping to take on board some much needed refreshments supplied by friends and family of the Band. The Band finished the March around 2.30pm with kind refreshments being supplied by the Jedburgh British Legion and the Cannon Bar.